NEW ORLEANS – All-Region honorees for the 2017 NCAA Division I Cross Country season were recognized Friday by the U.S. Track & Field and Cross Country Coaches Association (USTFCCCA) following the Regional Championships. A total of 225 men and 225 women from 205 programs earned the distinction by finishing among the top-25 runners at one of nine regional sites across the country. The Arkansas women and Syracuse men were the only teams with seven All-Region nods. Both the Razorbacks and Orange received individual titles (Nikki Hiltz and Justyn Knight) en route to winning regional titles. 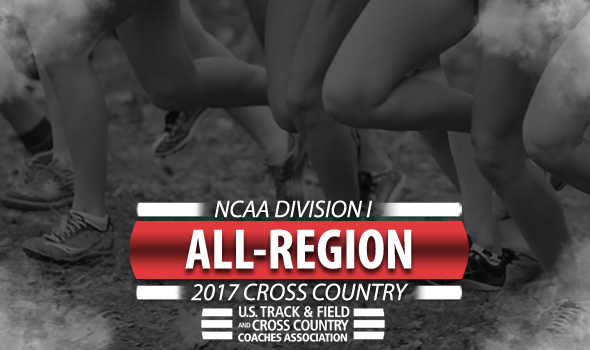 Three men’s teams and two women’s teams had six All-Region honorees. Those men’s teams were Furman, Northern Arizona and Texas, while the women’s teams were Colorado and Villanova. Of those five teams, three won regional titles: Colorado, Furman and Northern Arizona. On a conference level, the Big Ten had the most All-Region honorees with 50. Athletes from the SEC combined for 46, while the ACC and Pac-12 totaled 45 and 44, respectively. Many of these All-Region athletes will compete at the 2017 NCAA Division I Cross Country Championships next Saturday in Louisville, Kentucky. A full list of All-Region honorees can be found below.